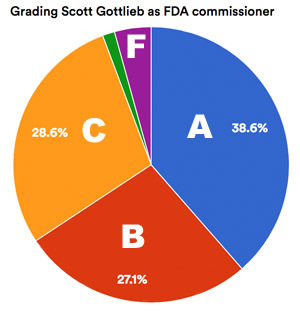 PinUp: FDA’s Gottlieb Gets Good Grades from Industry for Good Reason. But Will Patients Benefit or Be Harmed? [From www.statnews.com] Food and Drug Administration Commissioner Scott Gottlieb earned high marks from [a STAT Plus] survey respondents. But the vast majority sang his praises. The trade group PhRMA has tried to reframe the drug price debate with its “Go Boldly” campaign, paid for by a hike in membership fees. In decidedly lukewarm reviews, more than a third of respondents gave that initiative a modest 2 on a scale of 1 to 5 (with 5 being a rave). Roughly a quarter split between 1 (the worst) and 3 (meh). This is Why Industry Loves Him! [From www.reuters.com] Commissioner Scott Gottlieb’s proposals make good on President Donald Trump’s promise to cut regulations and sparked concern from public health advocates who fear the moves will harm patients. Already dozens of devices are recalled each year. Gottlieb’s proposal would offer an alternative route to market for certain companies which do not meet the criteria for clearance under the agency’s existing fast track route, known as the 510(k) pathway. His new proposal would dispense with the need for a predicate [an equivalent existing device] and offer the option of using a benchmark consisting of a set of performance standards or guidance documents. Dr. Rita Redberg, a cardiologist at the University of California San Francisco and editor of JAMA Internal Medicine, said shifting safety monitoring from the pre-approval to the post-market setting would essentially turn patients into guinea pigs. Here’s the fly in this ointment: Who advises the FDA how to “modernize” the performance benchmarks? 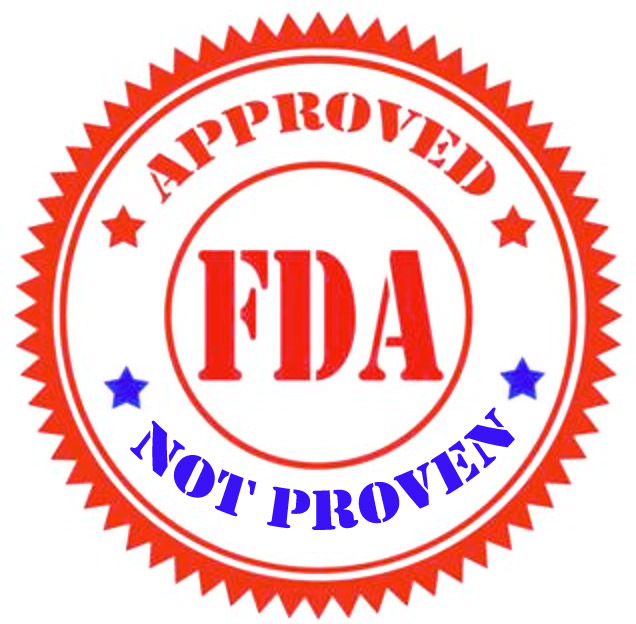 I suspect that the FDA will depend upon outside experts with ties to the industry! Operability – to assess whether a mobile health app installs, loads, and runs in a manner that provides a reasonable user experience. Privacy – to assess whether a mobile health app protects the user’s information, including Protected Health Information in full compliance with all applicable laws, rules and regulations. Security – to assess if the application is protected from external threats. Content – to assess whether the information provided in the mobile health app is current and accurate. The guidelines are backed by Xcertia’s growing collaboration of 30+ members, including its founders, the American Heart Association, the American Medical Association (AMA), the DHX Group, and the Healthcare Information and Management Systems Society (HIMSS). Next articlePinUp: 2017: A Banner Year for Pharma Lobbying and TV Ads, Bumper Crop of New Drugs, But Profitability? Meh!